Councillors backed proposals for the main office to remain at Woodhill House in the city, despite concerns from the Inverness business community. Gordon House will now be sold under the plans with the Town Hall refurbished to provide a service point for customers in the Garioch area. Stonehaven will get a new town centre hub along with the refurbishment of council offices at Viewmount. New build offices will be built in Ellon on the old academy site and existing properties sold off in the town. The £13million strategy was backed by 43 councillors, with 25 voting against the plans. Concerned that there had been no time for a consultation, the Inverurie Business Association held an emergency meeting on Tuesday. And last night chairwoman Victoria Withy said she felt “extremely disappointed” at the decision, but hoped that the council would now make sure a full economic assessment would be carried out. But some locals quietly backed the proposals believing that the refurbishment of the landmark Town Hall would help regenerate the centre of Inverurie. Under the new plans, car parking will be created at the Old Market Square School which had been earmarked for a Community Asset Transfer to the Garioch Partnership for use as a community hub. Richard Thomson, co-leader of the SNP group, had offered an alternative proposal of building a new office on the Harlaw Centre site as well as new offices in Ellon. However, his proposal did not prove to be as popular with other councillors at the full council meeting yesterday. 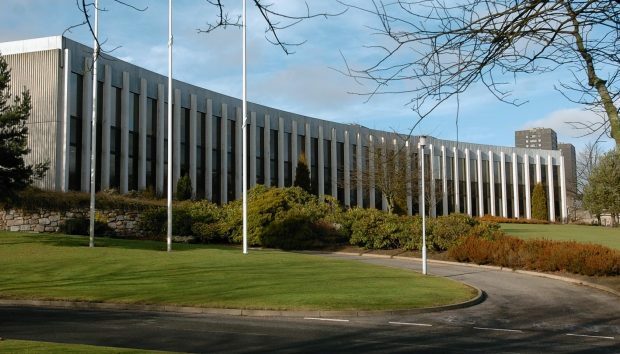 It is understood that NHS Grampian is now considering buying part of Woodhill House. Council Leader Jim Gifford last night did not rule out the possibility that the local authority could one day sell the whole building to the health authority, adding: “The NHS has got first refusal on the building, under the agreement when Woodhill House was first purchased. “Who knows what might happen in the future.